For your presents, choose environmental sustainability! The countdown has started...don't wait untill the last day, and for this year try to choose eco-friendly products! It will be easier with our eco-friendly guide for green shopping in Milan. A particular and eco-friendly dress is a very appreciated gift for a lot of people. 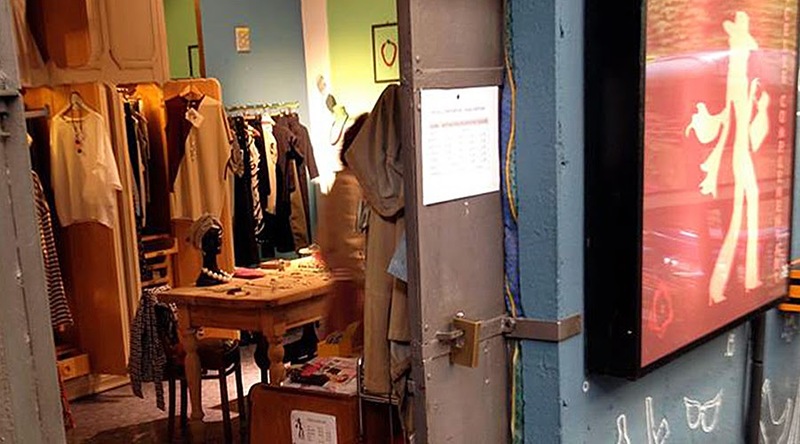 This shop is an historical vintage clothes store in Milan: ideal to immerse yourself into fashion history and into eco-sustainability. It also promotes the work of young designers on vintage clothes which are reinvented giving new life to tissues and forms of the past. Eco-friendly shop specialized in selling and manufacturing clothes made of natural materials, such as hemp and organic cotton; in a polished atmosphere with reuse of vintage furniture. Born in 2007 as an artisanal factory which proposes a sustainable and less homologated space to sell and buy. A large space is reserved for vintage experimentations of talented designers with recycled products. There is also a department with vegan cosmetics and detergents on tap. Are you thinking about a stationert gift? This is the right ecologic shop where you can buy eco-friendly and certificates products. They produce only with ecologic materials such as bamboo, corn, recycled leather and recycled waste paper. Even the furniture is made from recycled paper! Gustorotondo is a shop that offers artisan products selected with particular attention to the enogastronomic realities of Northern Italian, in particular organic foods prepared with natural and local products. Got hungry while shopping for eco-friendly gifts? Take a yummy break in one of the eco-sustainable restaurants in Milan!